The following changes and updates have been made to the new eighth edition based on requests from instructors and readers from throughout North America. Over 75 new full color line drawings and photos have been added to the new edition to help bring the subject to life. Updated throughout and correlated to the latest ASE tasks. The number of chapters has increased from 43 to 46 chapters by splitting up larger chapters and placing the content into shorter more concise chapters. A new chapter on Safety, Comfort and Convenience Accessories (Chapter 23) has been added. A new chapter called Air Management Systems (Chapter 24) has been added. Immobilizer Systems (Chapter 25) has been added to the new edition. 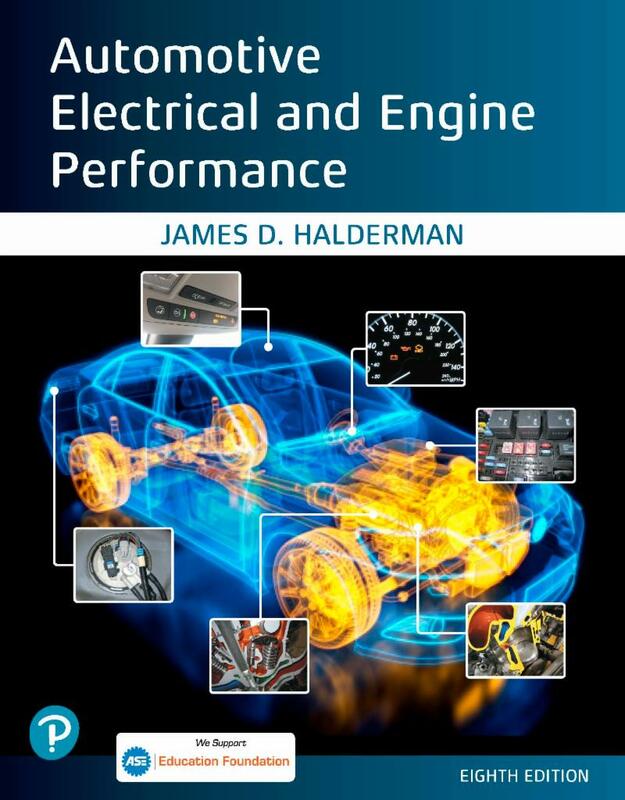 The ignition system chapter was split into two shorter chapters (Chapters 29 and 30) to make teaching and learning this topic easier. 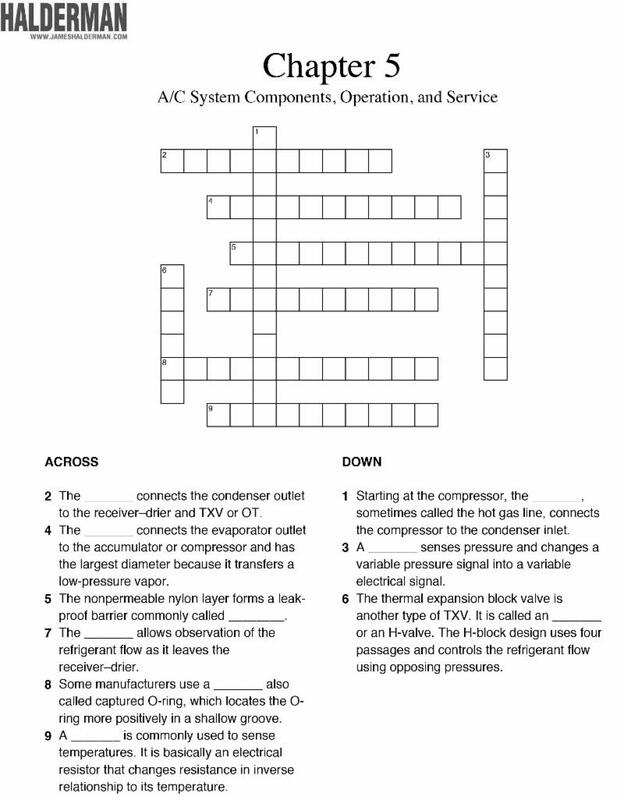 Find this month's puzzle of the month at this link and test your students knowledge on air conditioning. Whenever I use a photo of anything, I use an arrow pointing to the object and label identifying what it is called. This is a huge help to the reader who is likely not familiar with what is being shown. When selecting a textbook, check that all of the major objects being shown are labeled so that the reader can easily see and understand the what is being shown in the photo. 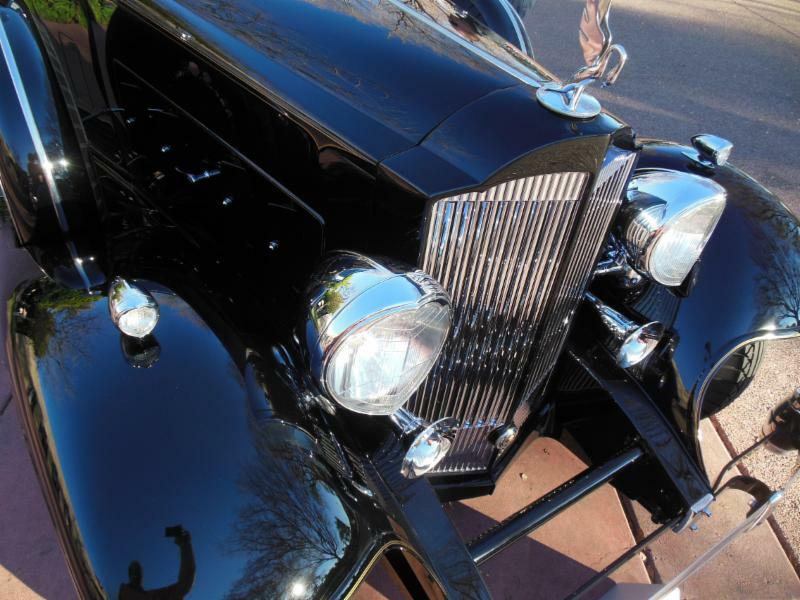 What is this classic car from the 1930s? Why Is the Blower Speed So High? * The outside temperature is low and the engine coolant temperature is hot enough to provide heat. The high blower speed is used to warm the passenger compartment as quickly as possible then when the temperature has reached the preset level, the blower speed is reduced to maintain the preset temperature. cooling. 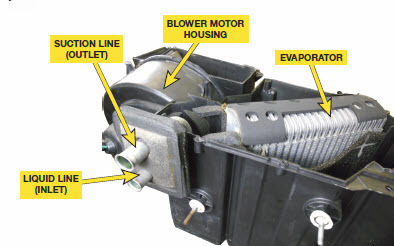 The high-speed blower is used to circulate air through the evaporator in an attempt to cool the passenger compartment as quickly as possible. Once the temperature reaches close to the preset temperature, the blower speed is reduced to keep the temperature steady. Both high-side pressures and low-side pressures are low with the engine running and the selector set to the air conditioning position. Technician A says that the system is undercharged. Technician B says the cooling fan could be inoperative. Which technician is correct? The correct answer is a.Technician A only is correct because a system that is undercharged (low on refrigerant) will keep the compressor from creating pressure. As a result of the low amount of refrigerant, the cooling ability is reduced. Technician B is not correct because an inoperative cooling fan will cause the discharge pressure to increase rather than decrease because the air will not be forced through the condenser, thereby not allowing the heat to be transferred from the refrigerant to the outside air. Answers c and d are not correct because Technician A only is correct. 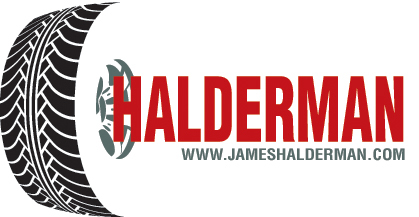 To determine if there is adequate airflow through a condenser, many technicians place a sheet of paper or a dollar bill in front of the condenser when the cooling fans are operating. With the engine running at idle speed, the bill should stick to the condenser. 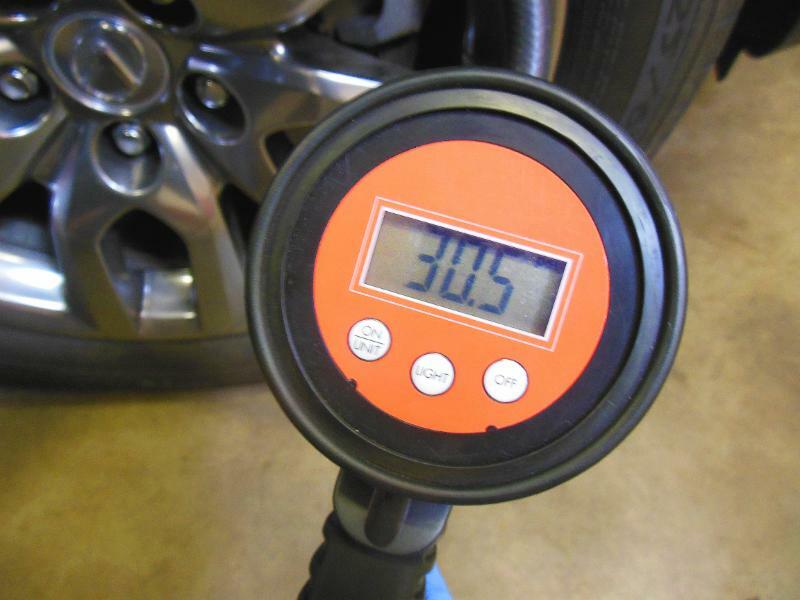 "How do you know if your tire pressure gauge is accurate? I have a stick tire pressure gauge (the kind shaped like a pencil where a stick pops out of the bottom to indicate the pressure) that I've had for decades and worked fine (or so I believed) until I got a car with the tire pressure sensors. The problem is the car's sensors and the stick gauge disagree by 3-4 lbs. So I bought a dial gauge, hoping it would prove one or the other correct. Nope, that one is off 3-4 lbs in the other direction. Are the sensors that come with modern cars (mine is an Altima) accurate? Are sticks better than dial gauges?" Thanks for writing. I suggest that you use a digital tire pressure gauge. Stick or "pencil-type" gauges are not very accurate and while dial gauges are usually better, digital can show pressure within 0.1 PSI allowing the user to get all of the tires equally inflated. Digital tire pressure gauges are now relatively inexpensive and easier to use than other types you mentioned. The tire pressure sensors are relatively accurate as they have to adhere to Federal law and trigger the TPMS warning light when the pressure drops 8 PSI below the door placard pressure.